There are many reasons I’m glad my Mum and Dad introduced me to this infuriating yet wonderful game, one of the main ones being that we can all, given a fair wind, keep playing for a long, long time. It’s also an added bonus that many successful protagonists on the world stage are as likely to be in their 40s as their 20s. There have been many column inches penned in the last few years about a glut of ferocious precocious talent that is set to dominate for the next decade or two. Jordan Spieth, Justin Thomas, Xander Schauffele and Jon Rahm have all been part of this conversation, all of them being around 24 or 25 years of age. But let’s just take a look at some of the most recent winners to grace our screens. Francesco Molinari, aged 36; Paul Casey 41; Kevin Kisner 35; Graeme McDowell 39. Matt Kuchar, who was runner-up to Kisner in the WGC-Dell Technologies Match Play to Kisner, has already celebrated his 40th birthday and has also already been in the winner’s circle this season. Remaining injury free is key, of course, to extending your prime and hauling in the big bucks. One of the most gratifying performances of the weekend, however, was that of Scotsman Stephen Gallacher in the Hero Indian Open at the DLF Golf & Country Club in New Delhi. It is more than four years since Gallagher, a mere stripling of 44, last tasted victory, in Dubai. That was the year he made a monumental effort to make Paul McGinley’s Ryder Cup team at Gleneagles, just down the road from his home. He was lightly raced by his captain in that contest and was almost a spent force for a while afterwards, finding it hard to drag his level back up. His motivation survived, however, and at the start of this year he took himself to Florida and did some work with Sean Foley, former coach of Tiger Woods and current coach of Justin Rose. Stephen felt he wanted, and was capable of, “four or five more years” on the European Tour. 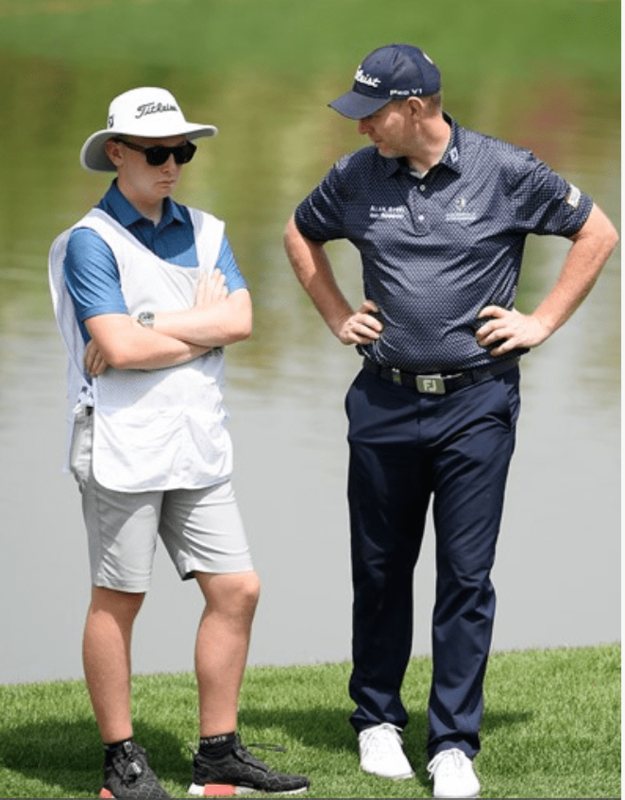 Last month I wrote about David Law, another Scottish winner on the European Tour and now it’s the turn of Stephen Gallacher. This is a habit I could really get to like. The Home of Golf is understandably greedy for success from its growing band of representatives on the main tours and Gallacher and Law should provide a ton of inspiration. More inspiration for “the oldies” was provided by victory in the Dominican Republic for the ever popular Irishman Graeme McDowell, my fellow member of Royal Portrush Golf Club. (Have I mentioned the Open will be there in July?!! And that the R&A have released more tickets.) McDowell, a few months shy of 40, produced some vintage stuff to win the Corales Puntacana Resort & Club Championship by a shot from Chris Stroud and MacKenzie Hughes. This was McDowell’s fourth PGA Tour victory, coming nearly four years after his last success and it will provide him with much needed impetus to go on and qualify for the big gig in July. 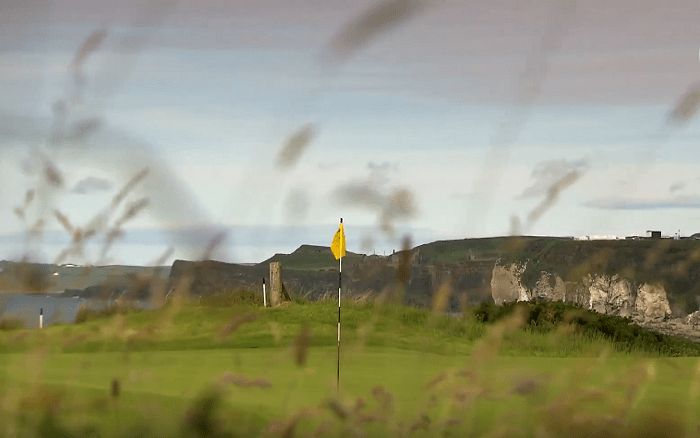 Fingers crossed he does it – it would be unthinkable to have a Portrush Open without Graeme gracing the links. The Open is the last of the four majors this year with the PGA having moved up from that slot to second in line, after the Masters. 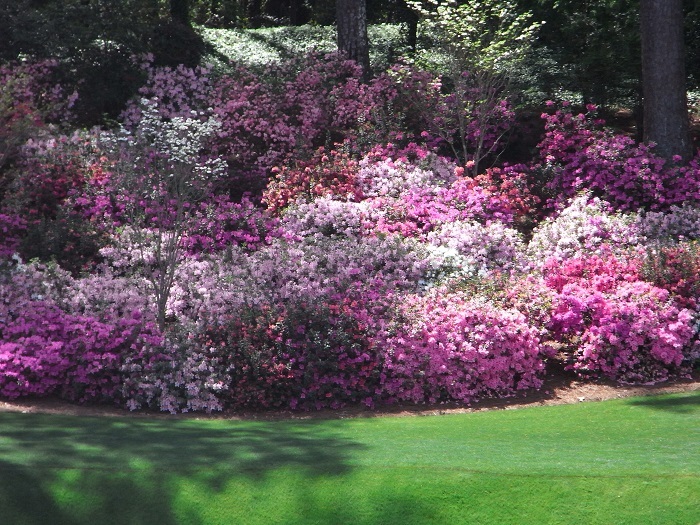 Augusta beckons and I’ll leave you with two questions to ponder: first, who will don the green jacket this year? Second, are the tweeting birds you hear on TV live or pre-recorded? There is a rumour that it’s the latter….. It may be sensory overload….but is that fake birdsong we hear?! Thanks as always, enjoy reading and learning stuff from both you and your sister. Im doing my best currently to uphold the theme of your comments as Im now 72 and still playing to 14 in the strong winds at Southerndown and still practising and loving and hating this great game.